I have been going to this location for a few years and my last week visit was exceptional. Great service compare to my previous visits! Everything about this place is great. Very professional service and people. 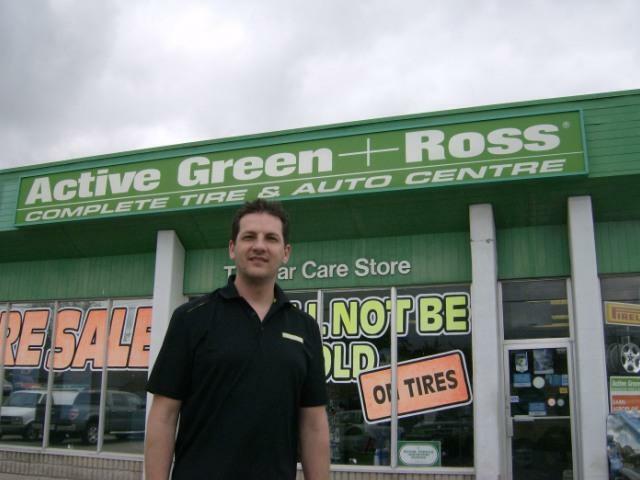 Highly recommend this Green & Ross if you require tires or car service. Have been to this location many times, and the service is always over and beyond. Staff - Frank, Emilio and Stefan are great. Able to take care of my car and I have referred colleagues to this location and they say the same comments. very friendly and I felt honest, also made some suggestions. Saved me money in the long run. Forget to re set my computer to 100 %Oil life after change oil. I have to come back to re set it. Other than that, customer service was excellent. They are all very nice there. Always. They take care of my car effeciently . Helpful and courteous staff. Prompt return drive to office and pickup once service completed. Will return. i deal with Frank and he is always willing to help and make great suggestions. i find him very honest and fair. Qualities that are hard to find in this industry. I have recommend the garage to friends and family. Great customer service. Once again Frank Gulli was amazing to deal with. His fantastic and courteous client service always is a pleasure to deal with. It was also nice to deal with Stephon Lewis as he helped me out as well. GREAT team and congratulations to you team. Staff (Frank) was very friendly and informative. When I had a concern 2 weeks later, they reset sensors at no cost to me. Would return in the future.